Gerami Law PC immigration and refugee lawyers will be pleased to represent you on your citizenship application or appeal. We are familiar with the requirements and the procedures involved for obtaining your citizenship and will ensure you are strongly positioned to succeed in this process. 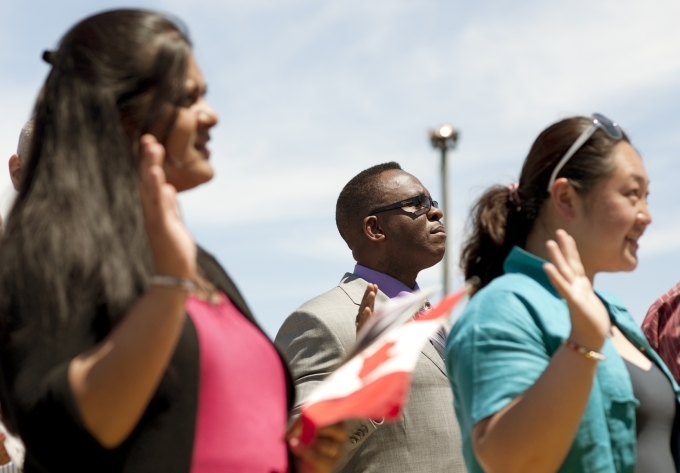 The Federal Government has introduced changes to Canada’s citizenship law, making it tougher to get citizenship. We will explain how these changes may affect your case at your consultation, and develop a strategy that enhances your ability to obtain Canadian citizenship. If you have been served with a Residency Questionnaire in the course of your citizenship application, this means you are required to provide additional information to prove your residency in Canada. We will prepare your Residency Questionnaire, explaining any travel history and working with you to provide additional supporting information. Our goal will be to help you avoid any additional delays and to obtain your citizenship as soon as possible. If you need assistance with your citizenship appeal, we will ensure you receive effective and strong representation. If your citizenship application has been rejected, you must appeal your case within 60 days to the Federal Court. We will examine the details of your case, determining whether the decision was unreasonable, or if there was a breach of procedural fairness. We will advance strong grounds of appeal before the Court, arguing that your case should be sent back for re-determination by a different Citizenship judge.